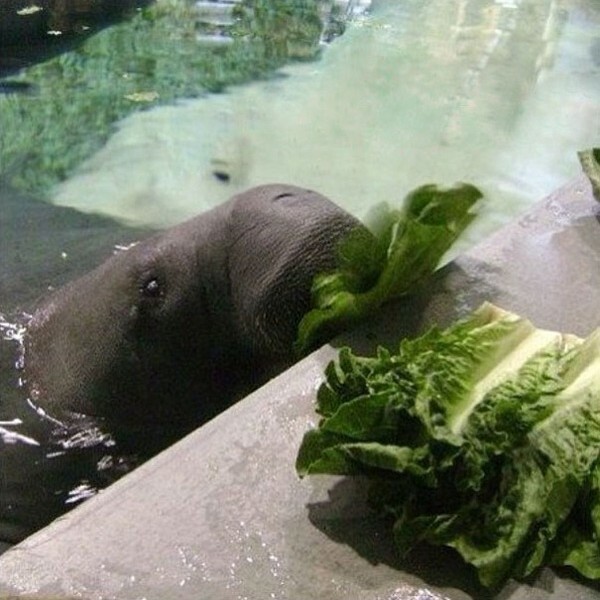 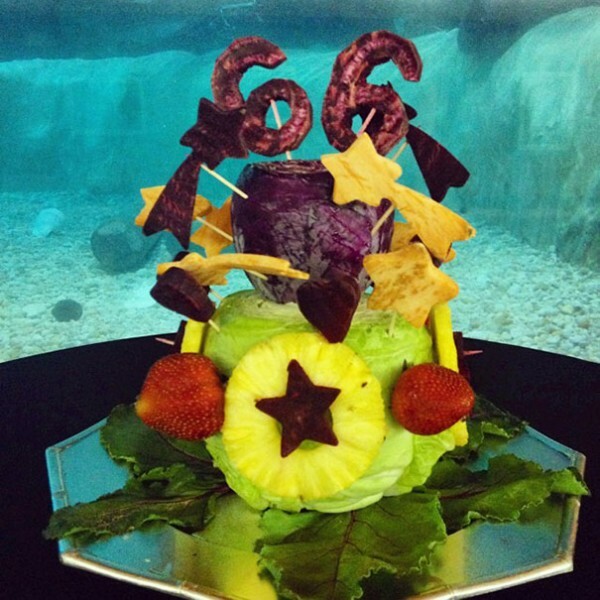 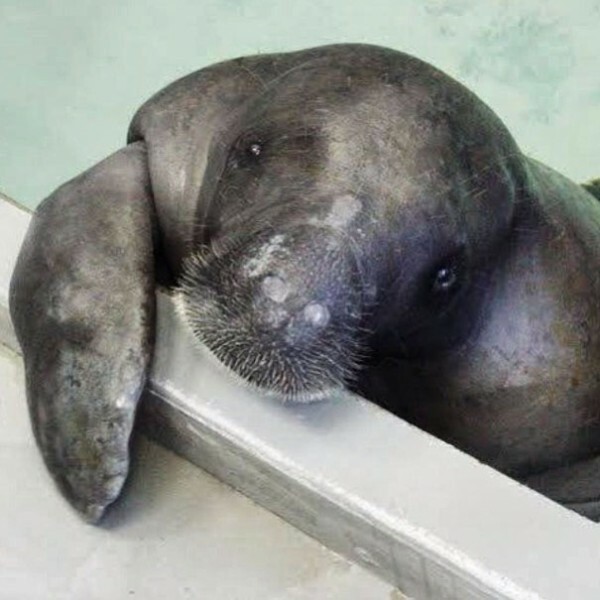 Due to both man made and natural dangers the manatee is an endangered species , usually manatees don’t live past 30 and most don’t even pass age 10 , so when we get a chance to celebrate a 66 birthday to a manatee called Snooty is kind of a big deal . 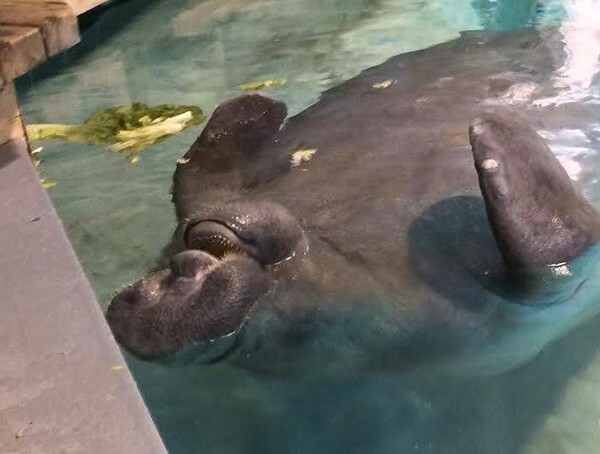 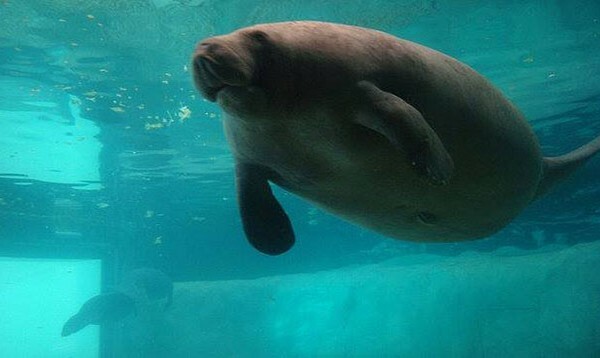 yesterday on the 21 of July Snooty turned 66 in good health and became the oldest manatee living in captivity and most likely the oldest one ever . 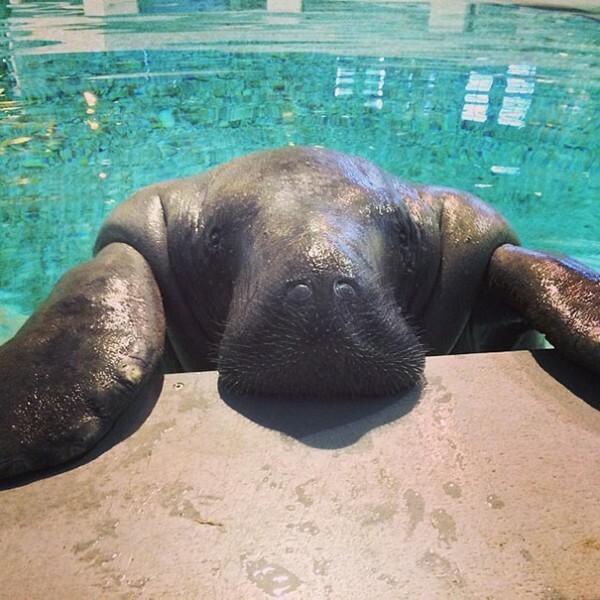 you might think that because of their sweet nature and harmless dispositions these amazing animals will live longer, but in fact they suffer mutilations from boats and razor sharp propellers due to insufficient protections , for now we can take comfort that Snooty here lives a long and happy life in the South Florida Museum’s Parker Manatee and he makes his visitors feel very loved. 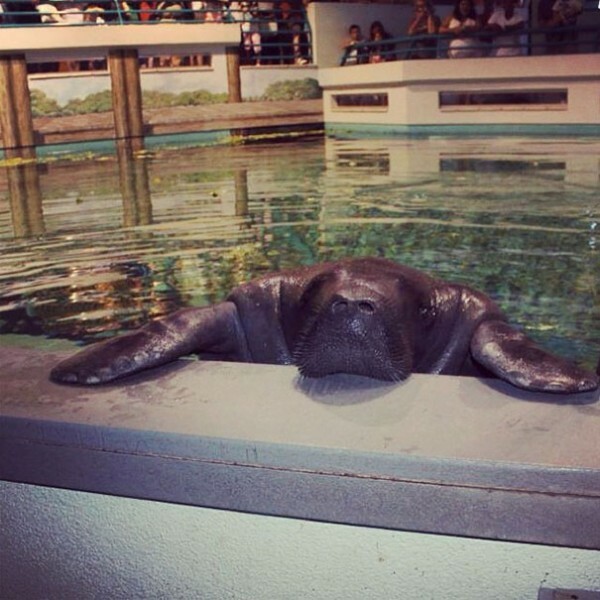 Here is the birthday boy – 66 years young Snooty !